April 24, 2016 – NASA has selected 13 proposals through NASA Innovative Advanced Concepts (NIAC), a program that invests in the development of pioneering technologies. Among the selected concepts is one called NIMPH (Nano Icy Moons Propellant Harvester) by ExoTerra Resource, LLC of Littleton, Colorado. ExoTerra’s NIMPH project will develop a CubeSat scale in-situ resource utilization system with the potential to perform sample return missions across the solar system at an affordable price. ExoTerra’s concept taps into the rapidly developing CubeSat industry, in-situ resource utilization, and the work being performed with high power solar arrays and electric propulsion under the asteroid redirect program. Combined, these offer the ability to drastically reduce the initial mass and cost of sample return missions. The ability to reduce mass and cost are especially critical because the latest Decadal Survey lists multiple sample return missions to the Moon, Mars and Jovian moons as high priority goals. In particular, a mission to Jupiter’s Europa is a top science goal as its liquid oceans hold the potential for discovery of extra-terrestrial life. 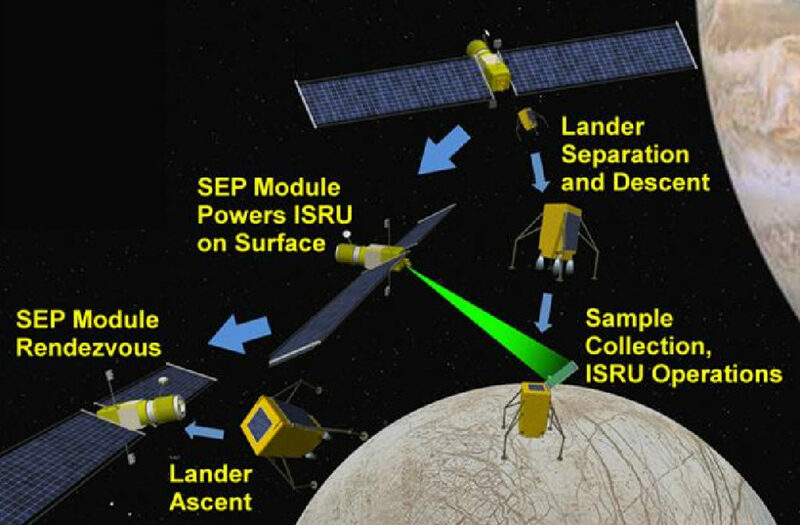 Sample return missions of this magnitude, using traditional techniques, typically result in large masses and have cost estimates in the $1-5B range. With the NIAC Phase I award, ExoTerra will receive approximately $100,000 for nine months, to support initial definition and analysis of the NIMPH concept. If the basic feasibility studies are successful, the company can then apply for a Phase II award, valued up to $500,000 for two additional years of concept development. In addition to NIMPH, the 2016 portfolio of Phase I concepts cover a wide range of innovations selected for their potential to revolutionize future aerospace missions. Such breakthroughs hold the promise of accelerating NASA’s progress toward its goals of exploration beyond low-Earth orbit, missions to an asteroid and Mars, and other priority areas in all of NASA’s mission directorates. NIAC is funded by NASA’s Space Technology Mission Directorate, which innovates, develops, tests, and flies hardware for use in NASA’s future missions.